The speaker was describing something that was hard to find. This is a nice mash up of “diamond in the rough” (someone or something whose good qualities are hidden) and “needle in a haystack” (something extremely hard to find). Both idioms involve something hidden, which I imagine caused the mental hiccup. Also both phrases are the same symmetrically, i.e., four words and sharing the word “in”. In addition, needles and diamonds are both sharp objects , and haystacks tend to be unkempt and rough. Like a diamond, this malaphor just gets better on closer inspection. 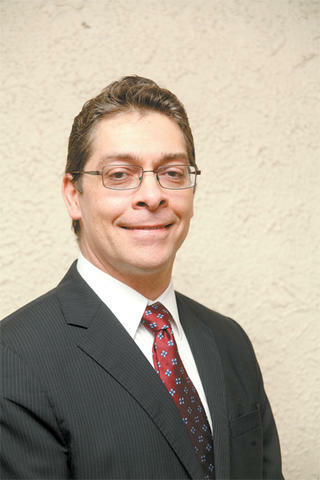 Perhaps in Trinidad and Tobago this phrase is an accepted one, as President Anthony Carmona described the new chairman of the Salaries Review Commission (SRC), Kyle Rudden (picture below), as “a diamond in the haystack.” http://www.guardian.co.tt/news/2015-10-28/diamond-haystack. A big thanks to Gabe for hearing this one and sending it in! Speaking of diamonds in the rough, my book “He Smokes Like a Fish and other Malaphors” is really a secret gem found only on Amazon! Check it out at http://www.amazon.com/dp/0692652205.